Have you ever seen online listing photos of the property only to see the place in person and the images simply don’t match? It’s important to take amazing photos of a property if you’re planning on selling it, but if those photos are simply unrealistic, you’ll have a lot of disappointed buyers once they get to the property. 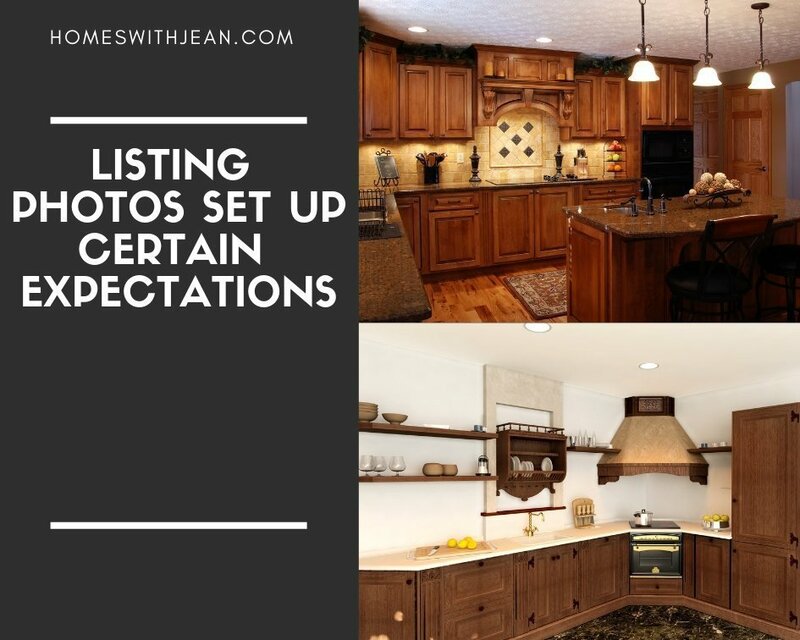 Property photos create certain expectations for buyers and when those are not met the buyers can either be disappointed or overly joy that what they expected to be a money pit, is actually not quite so bad. But what do listing photos actually do? Well, for starters, they make the buyer want to see the house or completely pass it on for another one. High-quality photos can encourage potential buyers to want to see more of the house. The photos are giving the expectation that this house might be ideal for them. Well staged homes with beautiful photos also give buyers the expectation that the home is well-maintained and clean. When you see amazing photos, it also conveys to the buyer that the seller is serious about selling. They’ve done the right marketing, staging, and cleaning to showcase their home in the best possible light. But what about terrible listing photos? We’ve all seen them; those cluttered and messy rooms, dirty dishes in the sink, or photos that just don’t make any sense or are blurry. Buyers have expectations here as well. If there are no photos of specific rooms such as bedrooms or backyards, buyers automatically think that these areas are less than desirable, so much so that the agent won’t even take a picture of it. So, what is it that we are not seeing? However, there are those times where poorly taken photos actually turn out to be a pretty decent listing, which in turn, offers a pleasant response from the buyer. Here they expected one thing and were pleasantly surprised that the house isn’t that bad. However, those photos do not get more buyers through the door and buyers may be determined to offer a lowball price simply on what the images display. Just as well maintained homes and images give the sense of a well cared for house, the opposite is also true. If the seller cannot even take the dishes out of the sink to take a photo to sell their home, what else have they neglected? If an agent is sloppy about their photos, the buyer, the agent, and the process may be a nightmare to get into. If you’re planning on selling, beautiful, well-chosen photos are really the key to getting buyers to investigate more. This truly is the epitome of a picture is worth 1000 words.